The development of the NeuroResponse service was spearheaded by Bernadette Porter, who became the health service’s first multiple sclerosis nurse consultant in 2003. The service combines a range of technology to offer patients with neurological conditions more control over the care they receive. It includes a telephone triage/advice line staffed by MS specialist nurses, email advice for GPs wishing to contact a neurologist, and a video clinic linking specialist teams with patients and community nurses. Using the nurse telephone service, patients and staff can discuss physical, mental, and social care needs, agree plans and share information – the idea being that patient anxiety is reduced, confidence increased, and treatment interventions are timely. Based at University College London Hospitals NHS Foundation Trust, NeuroResponse is currently supporting 2,500 multiple sclerosis patients to self-manage their condition more effectively. 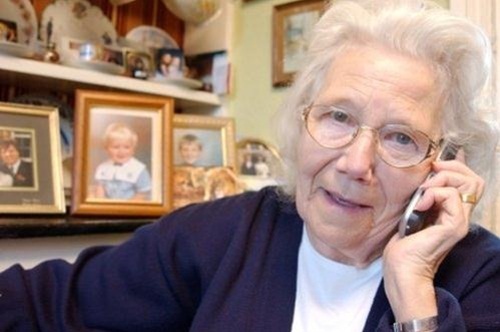 NHS England announced today that the telephone triage part of the service will now be extended to cover over 100,000 multiple sclerosis patients and then be adapted for other neurological conditions, such as Parkinson’s disease and epilepsy. The service is among 17 successful applicants to the NHS Innovation Accelerator programme, which is intended to make proven healthcare innovations more widely available to patients. Under the programme, they will receive funding, coaching from mentors and delivery support to roll out their technologies and processes across England. NHS England’s medical director Sir Bruce Keogh announced the 17 successful schemes today. They include a broad range of projects including devices, healthcare applications, new models of care, online resources and technology platforms. Co-host organisations UCLPartners and the Health Foundation will deliver the programme in partnership with patient groups and the 15 Academic Health Science Networks.